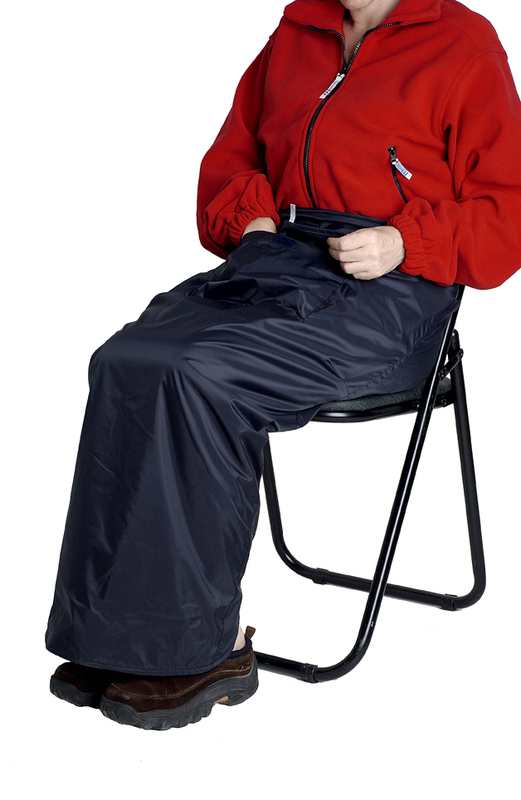 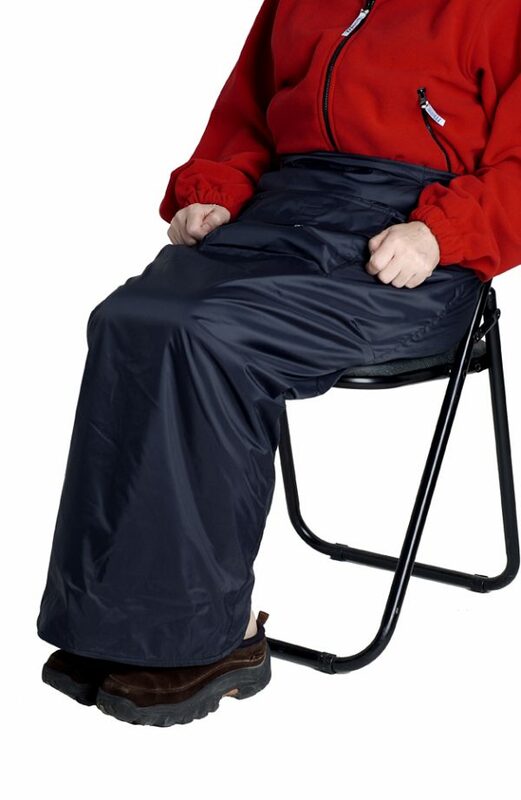 Waterproof Leg Cover with Polar Fleece Lining. 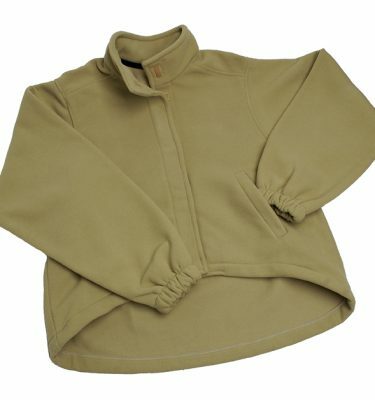 • Waistband closes with a Velcro fastening. 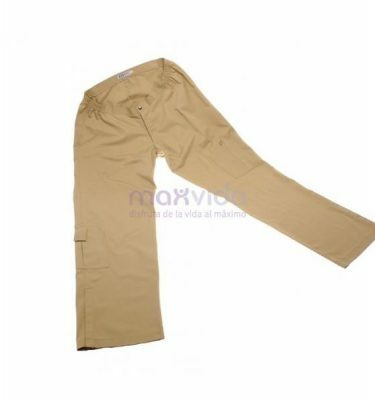 • The garment is adjusted to the body with straps at the height of the knees and the ankles which close with Velcro snaps. 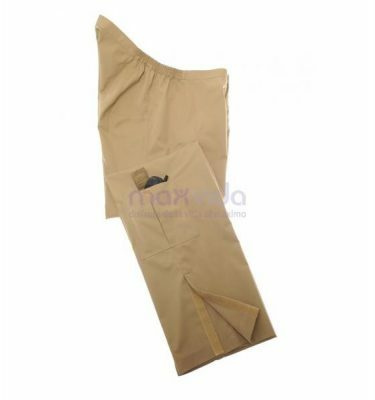 • It’s got an ample pocket across the lap which opens with a long puller. 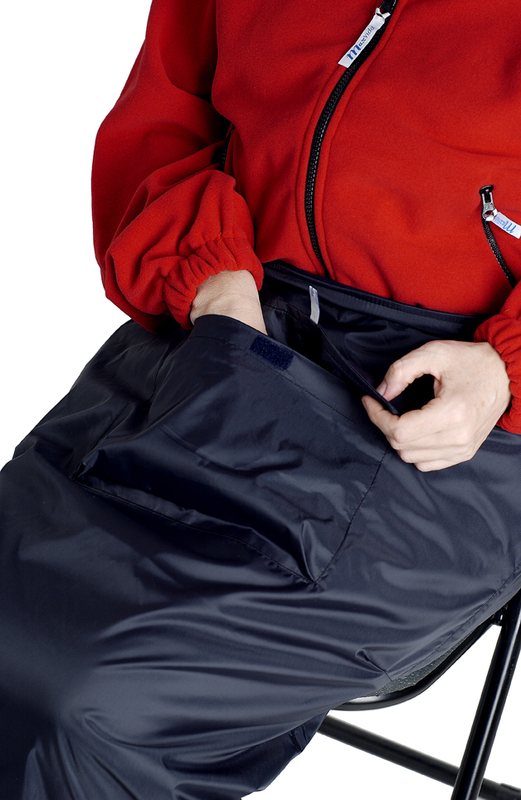 Composition outer waterproof fabric: nylon and polyurethane. 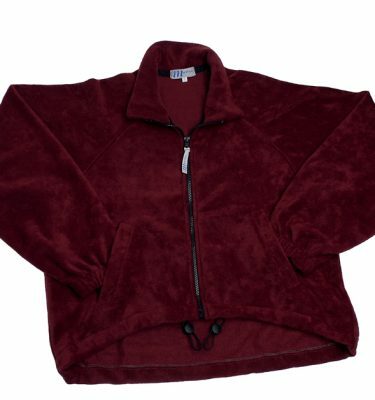 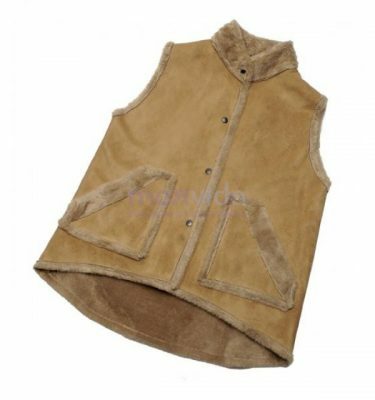 Inner padded lining: 100% polyester.